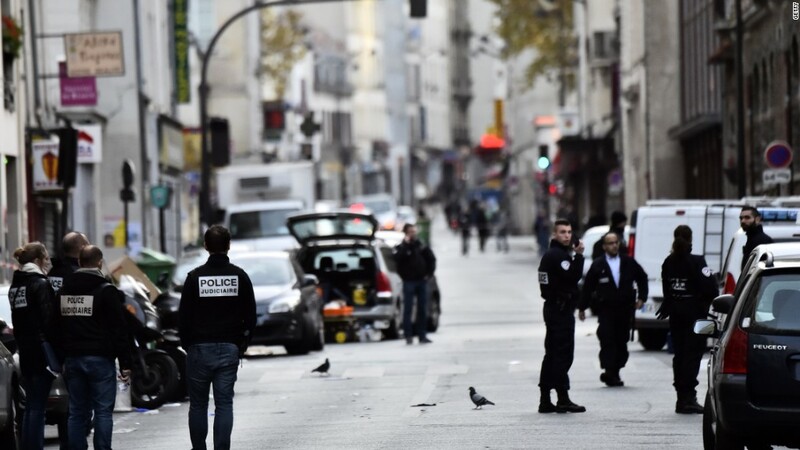 Travel and tourism businesses will likely hurt a lot from the attacks in Paris. Paris is one of the one of the most popular city for tourism in the world, with an estimated 16 million visitors each year. And President Francois Hollande just announced plans to introduce a state of emergency across the country for the next three months. Stocks of companies that cater to travelers are already taking a hit. Priceline (PCLN) and Expedia (EXPE) fell around 3%, Delta (DAL) Airlines dipped 2.5% and American Airlines (AAL) dropped 2.1%. Norwegian Cruise Line (NCLH) and Carnival (CCL) also declined around 2% apiece. Many companies were anticipating travelers to France to cancel or change their plans. United (UAL) said it is waiving fees on any flights to Paris that are rescheduled between now through November 30. Other airlines have issued similar guidance. Marriott (MAR) is waiving cancellation fees on its properties in Paris through November 28. And Expedia said it was handling heavy call volumes from its customers. It tweeted out a request that only people in Paris, and those that will be in Paris in the next two days, should call the company's customer service lines. Some companies are more exposed than others. Priceline, for instance, gets 55% of its booking traffic from Europe, says Dan Wasiolek, senior equity analyst at Morningstar. French hotel company AccorHotels has 30% of its rooms in France. Acco (ACCYY)stock was down nearly 5% Monday. The expectation is that there will be a significant hit to French tourism in the short term, especially given the state of emergency in the country. However, no one expects Paris to fade as a top destination for travelers in the future. Wasiolek expects that the attacks "won't be something that greatly impacts overall travel" in the longer term. Travel companies stocks will likely rebound along with the return of tourists.